I had a strange dream that took me back to my childhood home. That single dream itself change my life forever. I appeared in the dream as an invisible ghost, witnessing everything with my own eyes. A young woman, dressed in a wedding gown, stood at the front door. She peered inside as if she was waiting for someone. Her arms, covered in delicate lace, held something dear to her. A book with an image of a flower on the cover. I never felt the calling to write and yet I had to get recreate the book I saw in her arms. After I wrote a children’s book titledSofia and Her Morningstar inspired by my dream, I illustrated and published my work in 2013. Sofia the flower stared as the main character. Most of my life through my high school years, my heart was set on becoming a detective. After graduation, I would go to college to achieve my dream. However, God had a different plan in mind. Sitting in the midst of rebellion, I didn’t want to be called by the Lord to do His purpose. Despite myplans, God guided me onto the path that would ultimately soften my heart and change the course of my life forever. In my college pursuit, doors began to shut. It simply wasn’t working out. It was during that time that I felt a tug at my conscience as if someone was trying to catch my attention. Still, I ignored the tugging sensation. I did not want to write. Sofia and Her Morningstarwas it. I did not have the passion for writing. I was too dumb and helpless to be a writer... or so I thought. In my mind I kept hearing a whisper. But...writing another book would be too difficult to accomplish; too much responsibility on my shoulders. Write, the voice came again. I lashed back to the voice who was calling me to write. No! What good is writing anyway? Write, the voice said loud and clear. You will impact many lives. I grew tired of resisting. The work that God called me to do became increasingly difficult to disregard. God continually opened doors of opportunity to write. 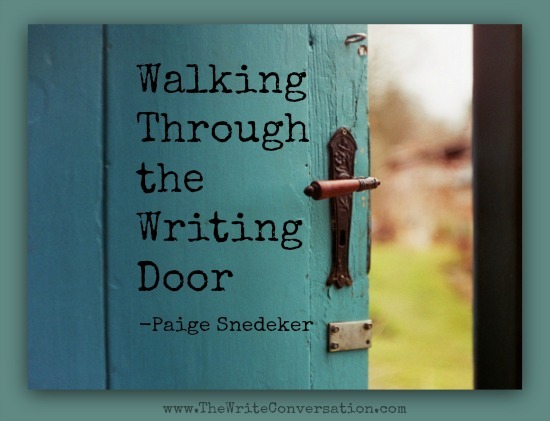 Finally, I stepped through the door in faith and followed the path into my writing journey. Putting my work out for others to see was hard. I felt vulnerable, especially due to my deafness. My English skills needed some practice. In hopes of improving my writing skills, I decided to attend a writer’s conference. It felt as though my fried brain could spill out of my ears at any moment. The knowledge that I obtained reignited my passion for writing with a blazing fire. I came home, inspired by the people I met and all the new information I had learned. Attending this conference encouraged me to write with confidence. Since then, I have published my second children’s book and worked on many other projects such as starting my very own blog. I have experienced something with the Lord that I would not have experienced if I chose another path. I felt a sense of peace and purpose by following His calling. My work here on earth is not done. I knowthere is more for me to tell. If God has called you to write, then, do it! Write straight from your heart. If God has called you to do something else, do it! No matter what He has called you to do, following His plan for you is the best place you can be. Don’t expect perfection of yourself—God doesn’t call us to be perfect, anyway. Writing can be a stressful task BUT it if you stick with it, your relationship with the One True God will strengthen and you will learn more about yourself than you ever thought possible. In the comments below, tell me why you decided to start writing and what motivates you to keep going! Paige Snedeker has written and illustrated two children’s books, Sofia and Her Morningstar and Camo’s Journey as well as illustrated I Love You the Mostest. 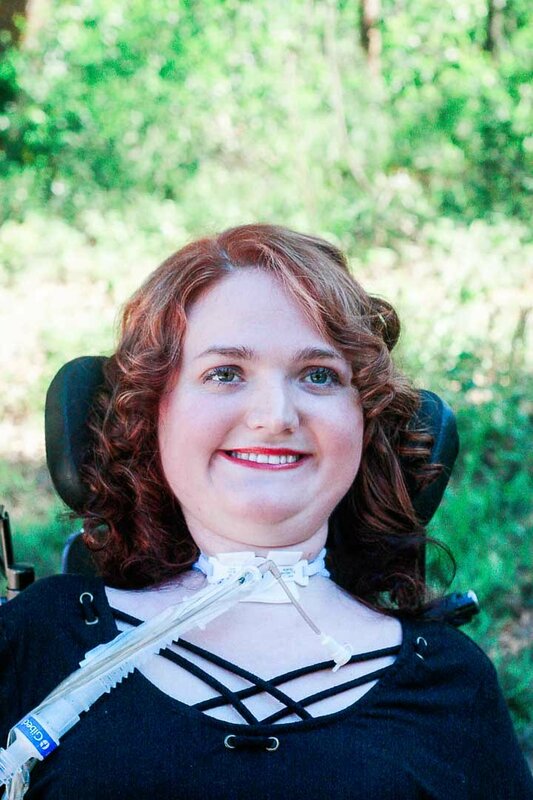 Paige is the founder of a non-profit, The Paige Project and has a rare neuromuscular disorder called Riboflavin Transporter Deficiency (RTD) Type 2, which has caused her to be deaf, legally blind, confined to a wheelchair and dependent on breathing assistance. For more information, visit www.thepaigeproject.org. Paige, your journey inspires. It reminds me a bit of Joni Eareckson Tada. She, too, has overcome what we view as insurmountable, and you're doing the same. God bless the work of your hands and your speaking. Edie, thank you for introducing us to Paige. Fantastic! Thank you for stopping by and reading my post! Yes, Joni Eareckson Tada is amazing. I know her personally. Long story short, my brothers and I had been undiagnosed for 27 years and she is the one who helped my family find a diagnosis. Praise the Lord! Joni is also a wonderful friend and fellow writer. We all have challenges to overcome. Ms. Paige. I am moved to write this morning more than I've been in months. Thank you for such an encouraging voice young lady. Your words ring so very true... "write what is in your heart." Of course, I think key to that is knowing that your heart is filled with the right, godly things is paramount. God's blessings upon you and your writing journey Ms. Paige Snedeker. I can't wait to see your name as a Christy or Selah award winner. Wonderful! Your words really encourage me! I am so glad you were moved to write even more. Thank you for sharing that with me! Lord bless you and your writing. Never give up! What an inspiring post. Your faith and words are a blessing. Thank you, Oaige! Paige, you inspire me! I have no excuses. I'm delighted that you were part of our Word Weaver group for a while and to get to know you although online. Blessings as you continue to write! Paige, what an inspiring post! Thanks for sharing it with us. Thank you so much for your kind comment! Wow, that’s awesome. I have a similar story as you do with your teacher admiring your poem. I have got to read some of your work some day! Paige, thank you for your beautiful words of encouragement. Your message brought living words of hope. Bless you, dear one. Thank you! There is always hope. Hello Paige, thank you so much for your post. It's so touching! Thank you for your wonderful post. It is both inspiring and encouraging. It shows what kind of amazing things our awesome God can do through a person like you who loves Him wholeheartedly and is yielded and obedient to Him. I am praying that God will continue to touch people through your life and your writing and to bless you beyond your above and beyond all that you could ask or think. It is an absolute honor to be involved in the advancement of God’s word. Thank you for sharing your sweet comments with me. I am encouraged by your words. Thank you for honestly sharing about your struggle with obedience. Your story is uplifting and motivating. Keep up the good work! Thank you! I will continue to follow his calling whether or not I like it in the moment! Paige, it's always good to hear about your inspiring perseverance. Keep pressing forward, my friend. You have stories to tell and they encourage us all.